The fun's on tap for you when you play Tapper. 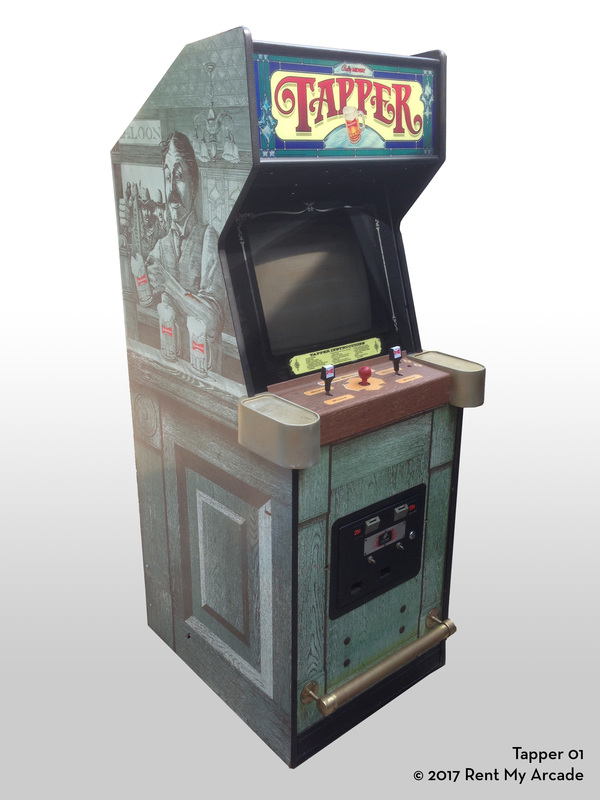 From its brass bar-rail and mug holders to its mini beer taps to its "Stained glass" header, Tapper is like no game ever designed. But the real magic in Tapper is the game play. You're the bartender as you pour and slide mugs of draft beer to a thirsty crew of customers in four different scenes. Its a mad rush as they slide empties for you to catch and pound on the bar for another round. Get that tip on the bar and dance hall girls come out for their number. Then its back to the tap until they've had their fill. But there's more! A bonus rack featuring the beer bandit will shake you up when he shakes five cans of your six-pack. Pick the unshaken can for a bonus. Pick the wrong one and you're in for a foamy surprise. H: 69.5", W: 27", D: 32"